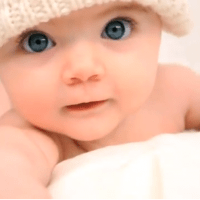 (Micaiah Bilger – LifeNews) A horrible new ad created for the abortion giant Planned Parenthood uses an adorable baby girl with big eyes and precious smile to advocate for abortion on demand. The 40-second video, “The Chosen,” was created by the Agenda Project, a pro-abortion advocacy group, to promote the abortion giant Planned Parenthood. It ends by urging people to “Stand with Planned Parenthood” – the largest abortion chain in America. Planned Parenthood aborts about 320,000 unborn babies a year, making up about a third of the abortion industry in the U.S.